Welcome to Criminal Thoughts! Where every week Vic Linde and I take a look at the latest episode of Criminal Minds, which features the most well adjusted (Well….) FBI Profilers in modern fiction. Vic’s in italics, I’m not and the boards are waiting. Let’s get to it. It’s Mid-Season Finale week on Criminal Minds and a heartily character driven episode. I’ve got to ask, what did you think of the final Jazz Club scene in 10.10? There are three different things going on at once there and two of them are very interesting. The least interesting one is the fact that this is architectural plotting. The actress who was playing Hotch’s partner is now pulling full time duty on Scandal (I think) so they couldn’t get her back. As a result, what was a really interesting, subtle relationship has had to be shut down which is a shame. The interesting stuff is all character. Firstly, Dave Rossi, bon vivant is actually rather adorable. We’ve got so used to seeing Dave either beaten down by his life experiences or acting as the older, sadder conscience to the rest of the team that it’s nice to see him enjoy life a little bit. Plus, the unsubtle wingmanning is a nice character beat. This is a guy who can read people at the molecular psychological level but he still does the most obvious thing in the world to try and hook his best friend up. The thing I really liked here though was how quickly the two characters acknowledge the awkward nature of the situation and work past it. Hotch has been written, justifiably, as flat out solemn for a long time now. It’s a refreshing change to see him articulate and outgoing. Still cautiously outgoing but there’s a shy, wounded charm to this version of him I’d like to see more of. Agreed, the stunted nature of the set-up was nicely side stepped by how well the scene was written. We seem to be having a family life theme in Season Ten, going back to the team every few episodes to check in with one of them to see what is happening when they leave the office. And yes, Bellamy Young traded Beth for Mellie and while I’m sad to not see what would have happened with Beth and Hotch, my goodness I can’t imagine anyone else as Mellie Grant – she’s magnificent. As for requests – can we get a compilation book of Garciaisms please? “Get your mug out because coffee is for closers.” I can’t possibly love her more. Bellamy Young! Yes she’s fantastic. It’s nice to see CM starting to do that thing that happened with The West Wing a lot too; casting brilliantly talented people in B and C roles and then watching them being whisked away to A roles in other shows. And very well spotted on the family theme. I wonder if we’re going to get some more stuff with Reid in that regard. He’s very notable for not having had that moment yet, given that we’ve had Rossi’s daughter, Kate’s home situation, Hotch’s and Derek Morgan, Serial House Restorer. I wonder if it’s a function of this being season 10. Them being relaxed enough to put routes down. The set up of this episode was great, the time jumps were erratic with more back and forward than usual but it was easy to follow and gave a lot more power to the reveals. It was a great ending to the middle of the season as well, more hopeful than I was expecting. I’m so glad you mentioned the music – it’s something that I’ve never really thought of as a strength in Criminal Minds (as opposed to a lot of shows where the music is a key part) but from the opening scene it really was beautifully done throughout. It also highlighted the twists, the changing perspective from the team as well as the audience. Exactly. There was an ambiguity to it that really plugged into the episode. Equal parts sweet and devotional and very sinister. And yeah, it’s a show that doesn’t do this, or format playfulness very often but when it does it REALLY works. Witness the ‘Guess which SUV is blowing up?’ moment from, God, season 5? Yeah, let’s never repeat that tension! I liked the way that they rotated the team this episode as well. Such small touches as Reid being the first into the grandfather’s house etc. There were some nice moments that showed that both the characters and their actors aren’t going to be allowed to get stagnant. I think this was one of my favourites, as we keep on saying, the minor characters were excellent and the turn-around on who we were sympathising with from scene to scene was delicately done and good fun watching. Exactly. Criminal Minds is one of those shows that’s got to actively work hard to be less than competent but this one really was a cut above. Smartly structured, excellent music and some smart character touches. We’re half a season in with no arc plot but if the rest of the season’s this good, that’s not necessarily a bad thing. Absolutely, focusing on the weekly plots rather than a major arc seems to be working. Also, ten seasons in they can afford to have a wandering season as long as nothing is lost, they are really letting the main characters drive the show, supported by lots of well rounded smaller roles. Is it just me or does the team seem to have been less pulled together so far this season? 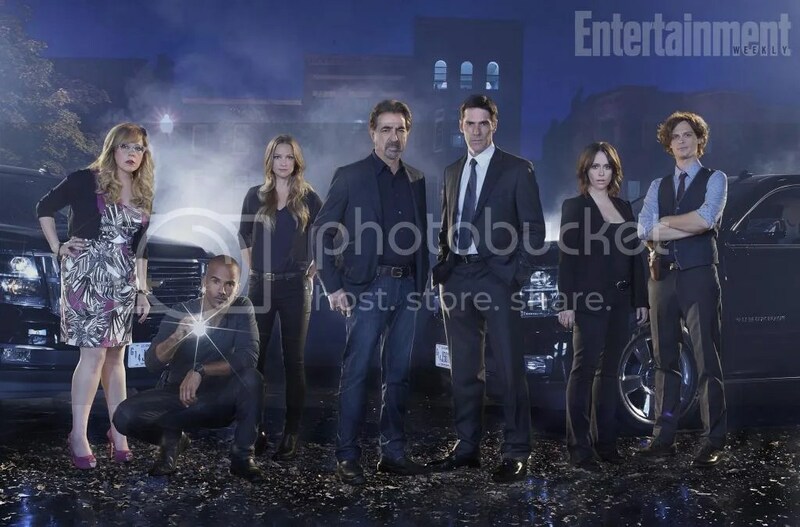 Is that perhaps the reason for the Rossi and Hotch scenes? We’ve had no karaoke, no late-night shopping and coffee with the girls, no pasta at Rossi’s house etc. The opening with Hotch talking about Beth actually felt odd at first and I think that’s perhaps why. There has been a lot of the team on there own, less about them leaning on each other after the initial moves to make sure that Kate felt like a part of the gang. So yeah, a different, relaxed tone for the season. Here’s hoping that stays. Thanks as ever to the magnificent SSA Linde. We’ll see you next time on Criminal Thoughts with episode 11, The Forever People.